Go green plumbing services is one of the leading plumbing service providers Company in California. We offer you the best services and also within your budget. You can call us anytime to handle drainage and sewer issues. We serve all areas in South Gate as well as in its outskirts. 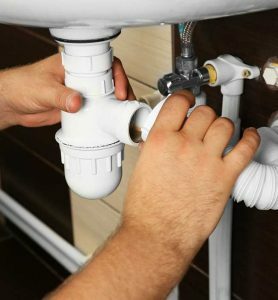 We provide fully trained plumbers who know their work well and respond to you as soon as possible. We are specialized in all areas whether it is a slab leak repair, faucet repair and replacement or emergency plumbing. Other than these, we also provide services related to toilet repair, gas line plumbing, hose bob installation, water heater installation, sewer and drain cleaning, clogged drain repair and service, medical gas location and complete plumbing services for bathroom remodeling. This a very common service offered by Go Green Plumbing. In your homes, all the drains are connected via complicated plumbing system. Sometimes one area tends to get clogged due to grease, hair or tree roots. This will affect the whole drainage system of your home. But the licensed and certified plumbers of Go green plumbing make use of modern, state-of-art equipment to diagnose the problem. In this way, we can easily remove all the unwanted debris which has been the reason behind clogging up your plumbing system. Effectiveness:Go Green Plumbing uses tool such as snake augers, drain rooters and high pressure water jets in order to yield unmatched results. These effective tools ensure that your drains are completely leak free and unclogged. Quality: Go Green Plumbing is a trusted and well-established drain cleaning Servicing Company. They hire a team of well-trained and skilled drainage engineers who can work on any kind of drain cleaning related problems. The technicians are qualified and equipped with years of training and experience and are capable of dealing with most complex drainage issues. Safe cleaning: Sometimes the drain cleaning products that you buy from stores are the major cause behind the plumbing problems. The cleaning products contain harmful chemicals that come in contact with the debris clogged in your pipes and further causing your pipes to erode. Use Go Green Plumbing services to make sure that all the build-ups are cleared from your pipes. We use methods such as rotor-rooting and hydro-jetting. This will help your plumbing systems to run smoothly and effortlessly. Variety: Our Go Green Plumbing service team has a wide variety of products and tools which can fix any kind of issues. These include pipe inspection cameras, flood inspection systems, snake augers, etc. Longevity: It is always recommended to get your pipes and drains cleaned on a regular basis. This will guarantee a longer life to the pipes. It will also reduce the chances of plumbing emergencies that end up of costing you heap of money and time. We also provide services for sewers which include inspections, repair, replacement, cleaning, clog removal, etc. At Go Green Plumbing, we provide unmatched services to their clients.We also ensure that all your plumbing needs are taken care of efficiently and effectively. Whether it is a groaning pipe, or a blocked sewer drain, do not worry, our trained plumbers of Go Green Plumbing services have got you covered.